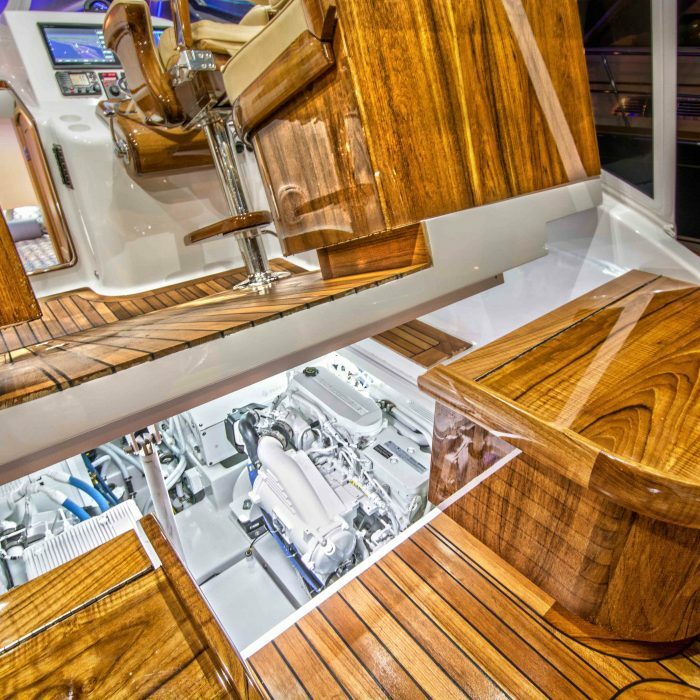 Hull W-18 is a stunning walkaround best known as “Pretty Work.” The incredible real teak finishes and styling details are a testament to the vision and craftsmanship that Tim Winters puts into his boats. 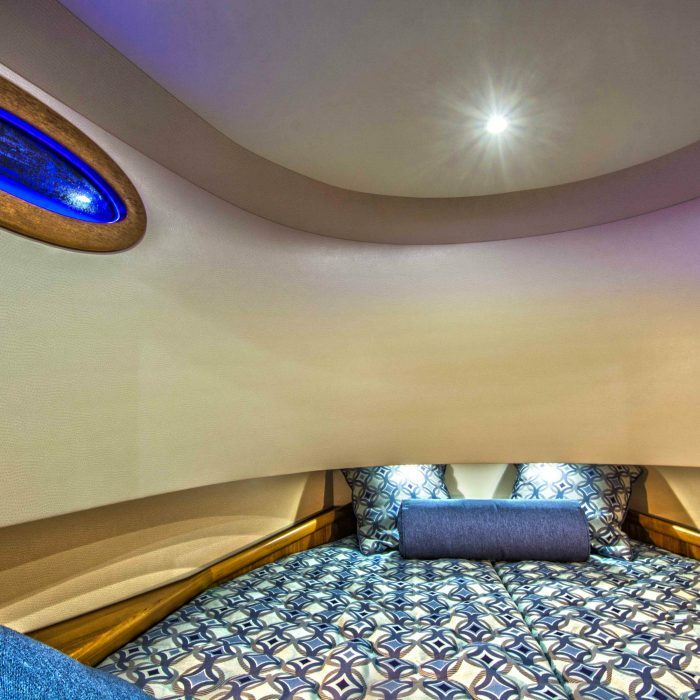 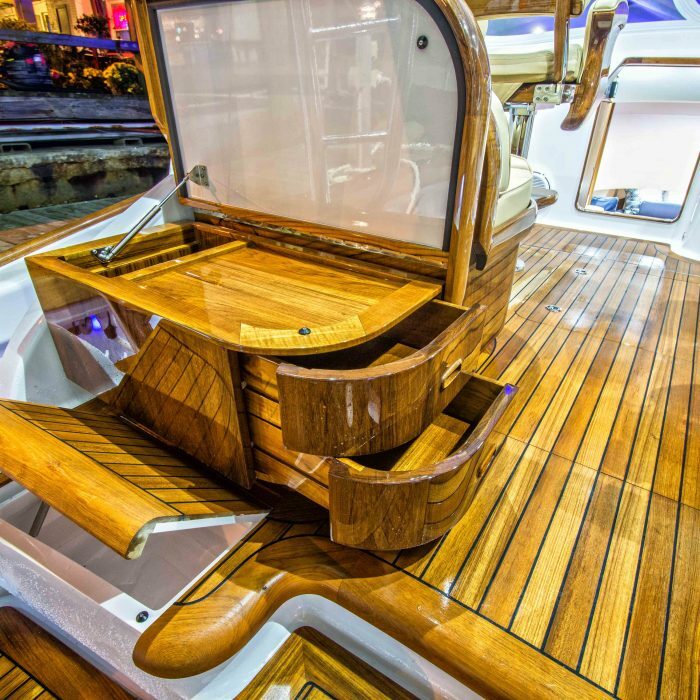 Sitting at just under 38 feet, this vessel is a classic example of how functionality and beauty come together in a Winter Custom Yacht. 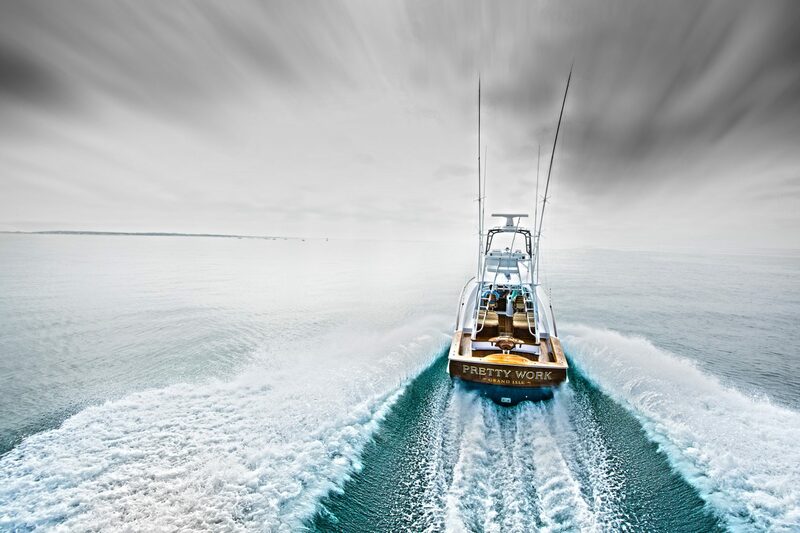 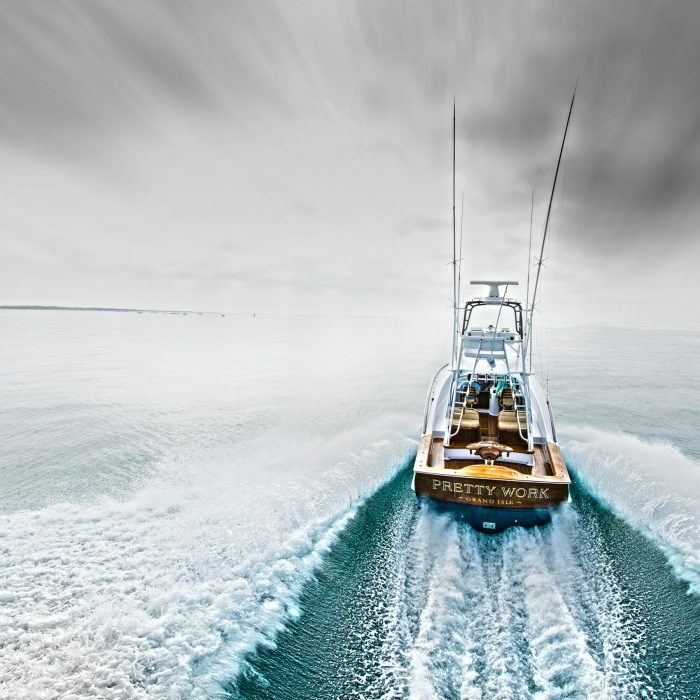 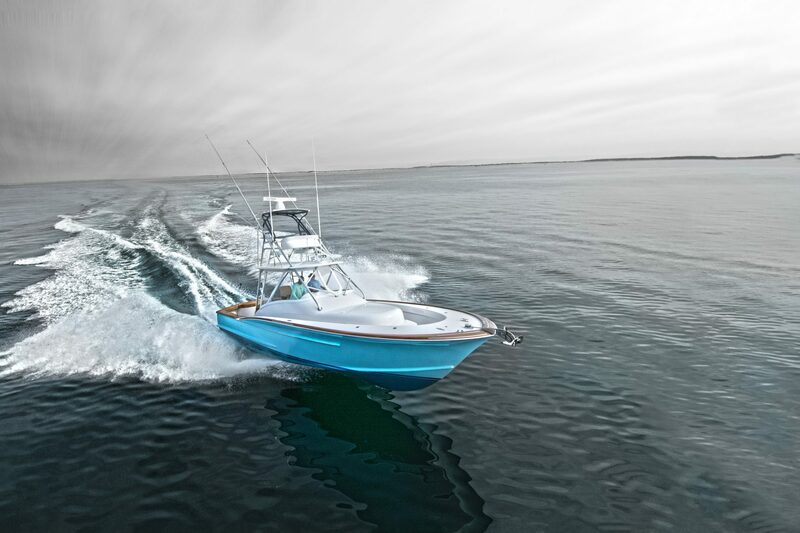 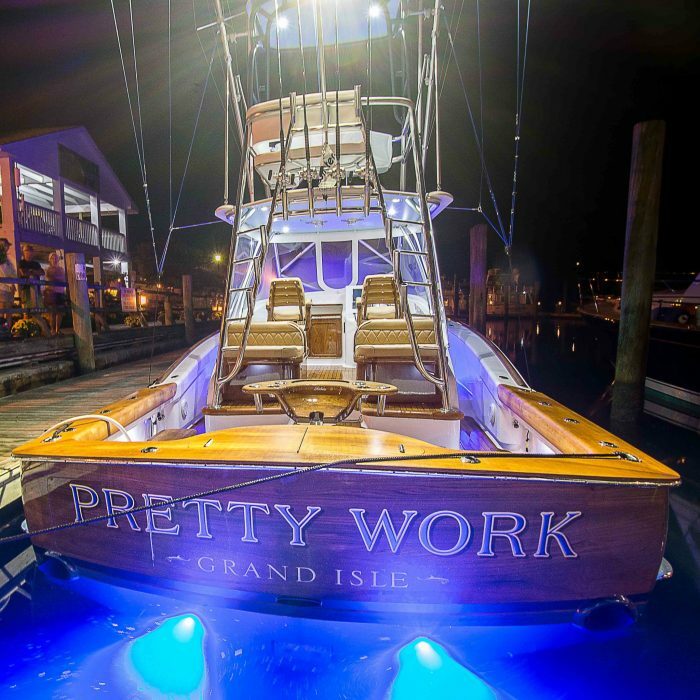 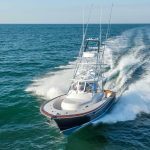 Powered by two Cummins QSB engines, Pretty Work is capable of speeds in excess of 36 knots—perfect for heading out to your favorite fishing coordinates at the next big tournament. 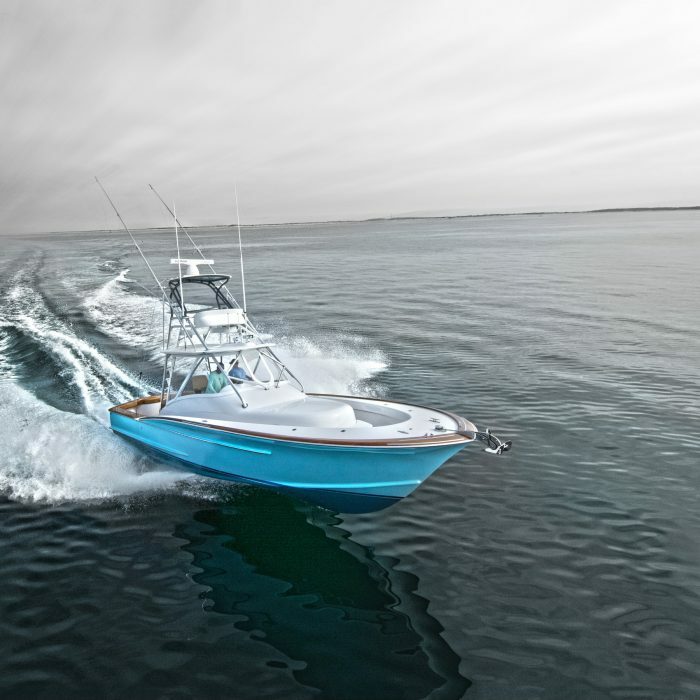 Hull W-18 is based from of our classic Carolina hull with moderate tumblehome and bow flare. 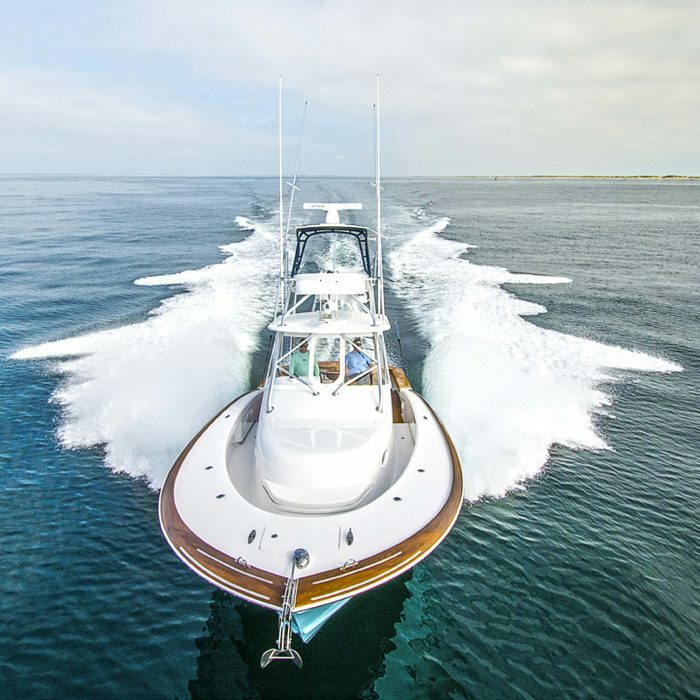 Her underwater body incorporates a more traditional bottom with a deep fore foot and flatter sections aft to allow her to perform well in the short chop found in the gulf. 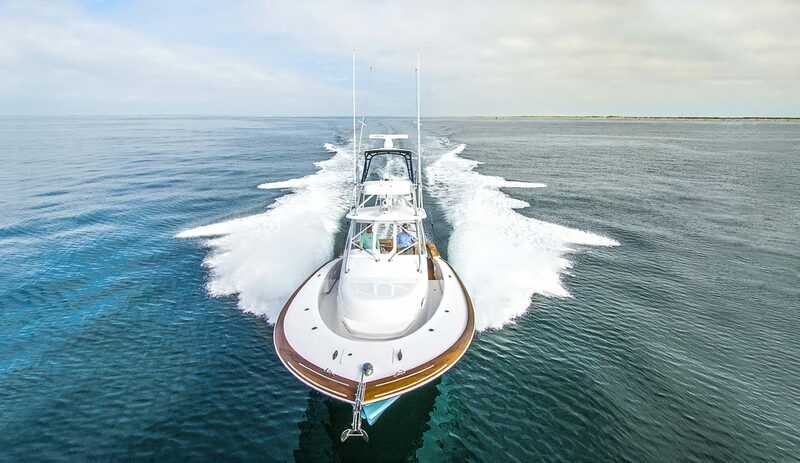 The propellers helped to reduce draft and increase efficiency with the 550hp Cummins. 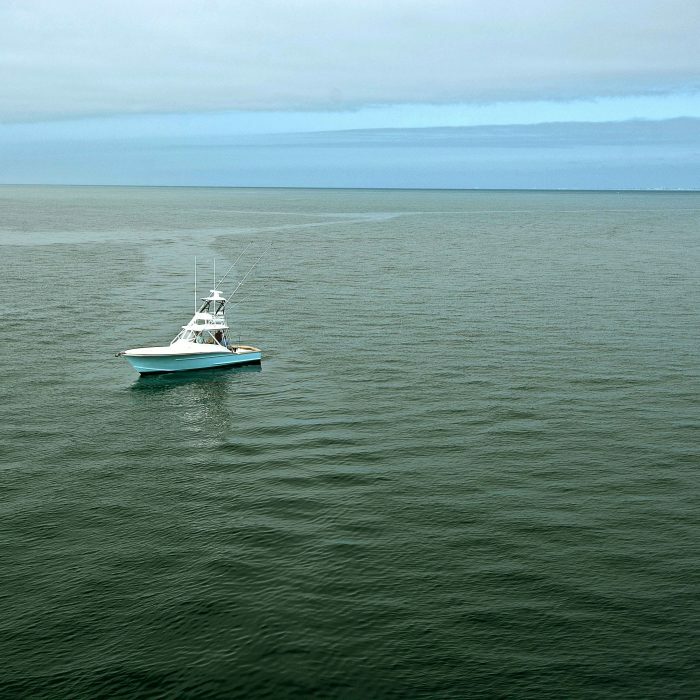 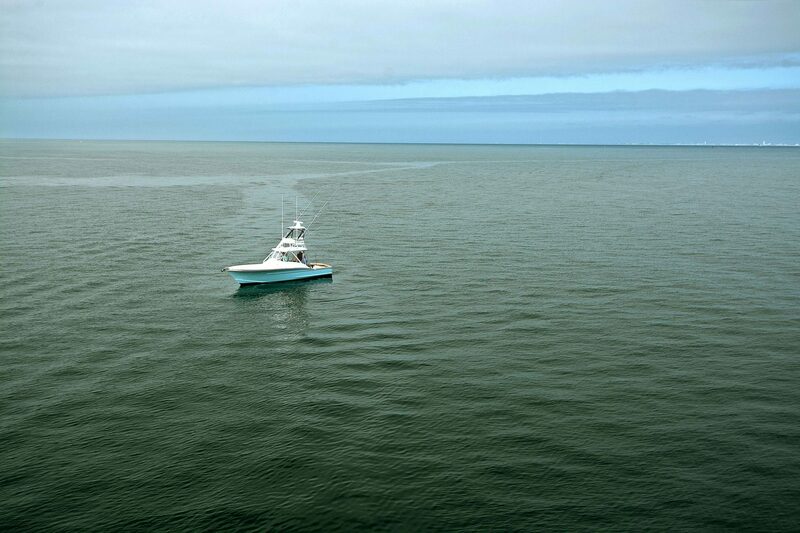 A Seakeeper 5 gyro was installed for additional stability and seakeeping. 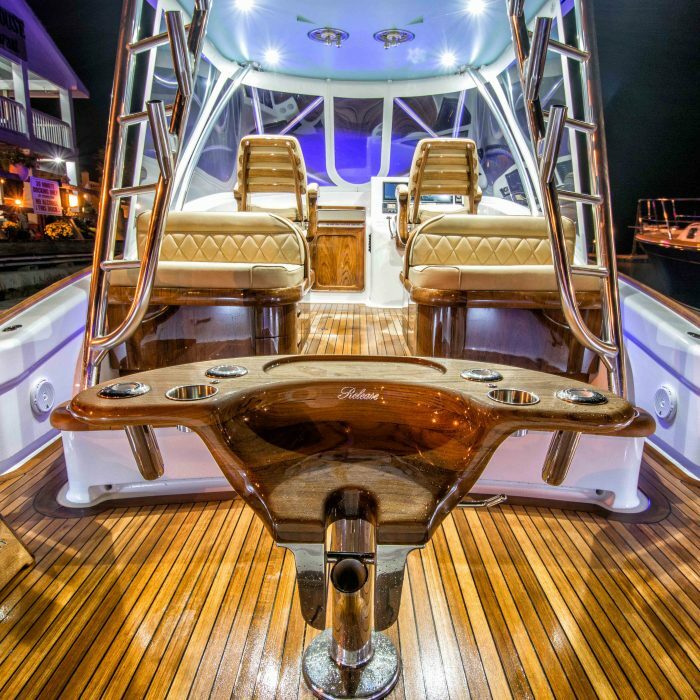 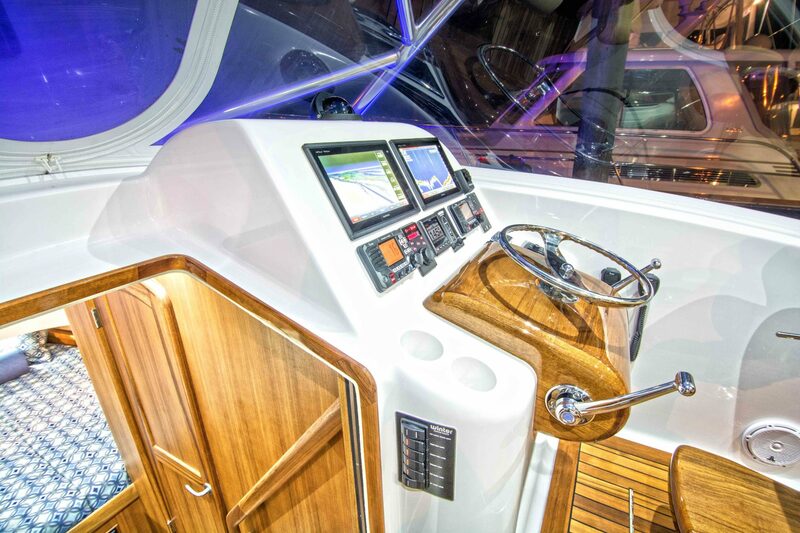 Her topsides are fitted with custom teak covering boards, decks, and transom. 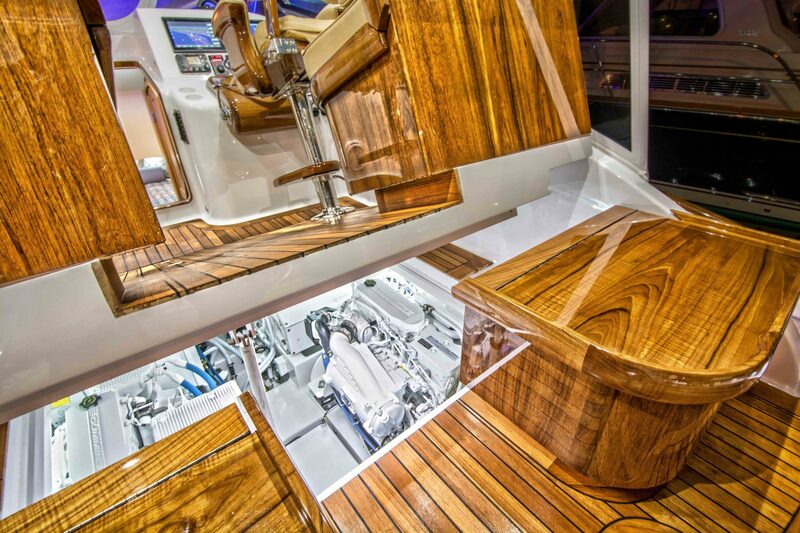 Her genuine teak features were hand shaped from a single tree to maintain color continuity and quality of work. 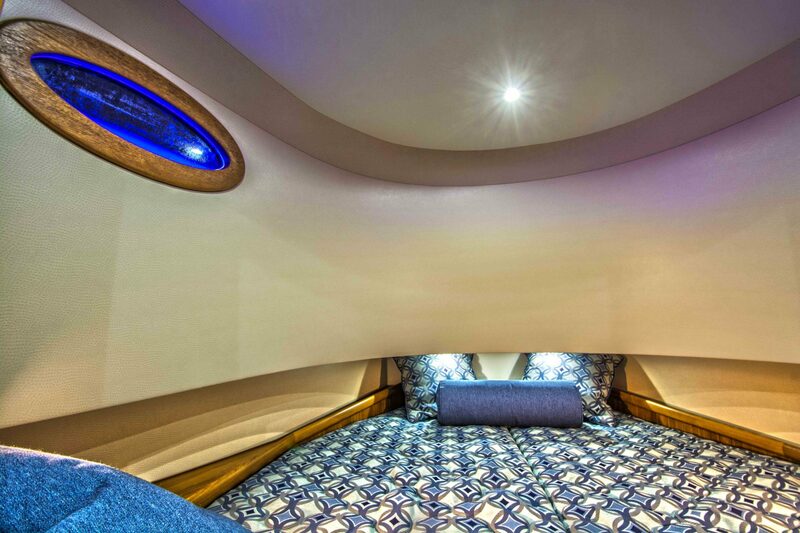 Her bridge deck includes custom jump seating with a mezzanine and ice boxes within. 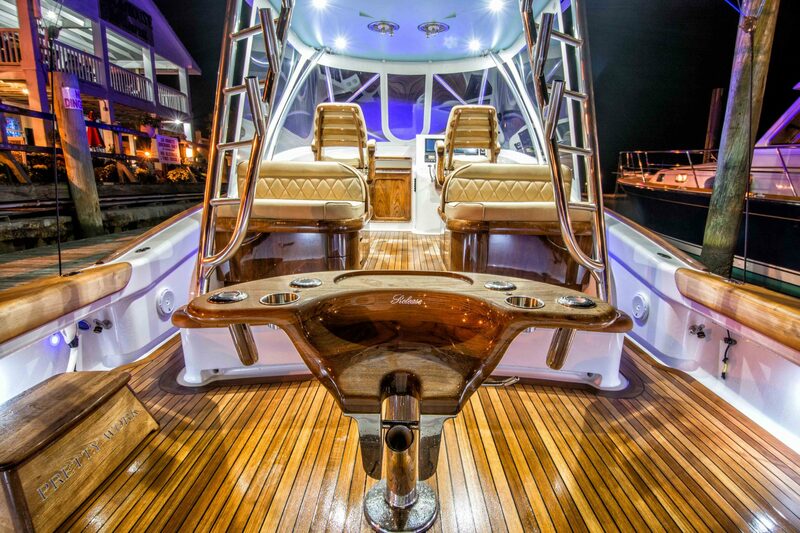 The release marine chair package and battle saddle make this boat ready for battle wherever she goes. 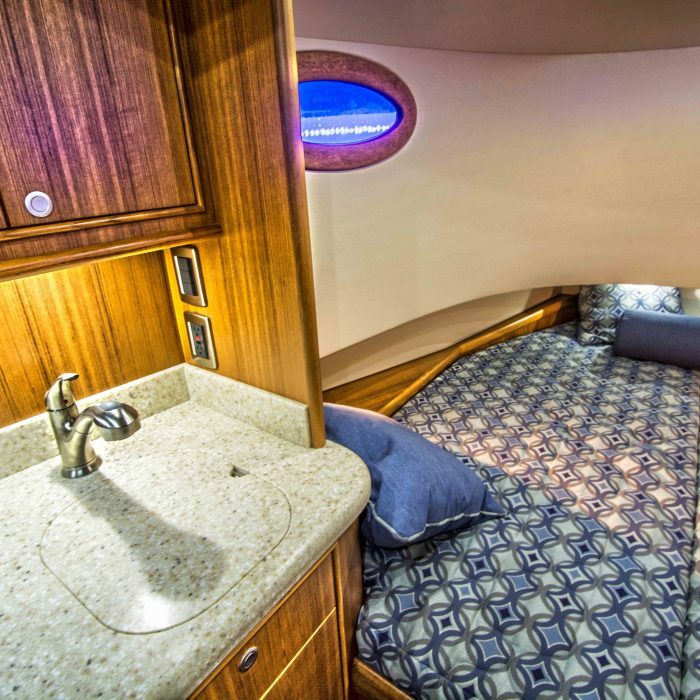 Below deck is a private head to starboard with shower and lavatory sink. 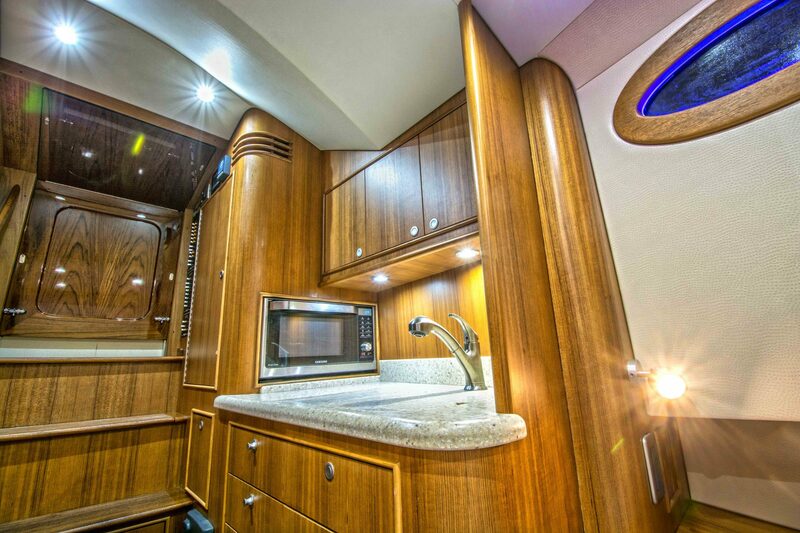 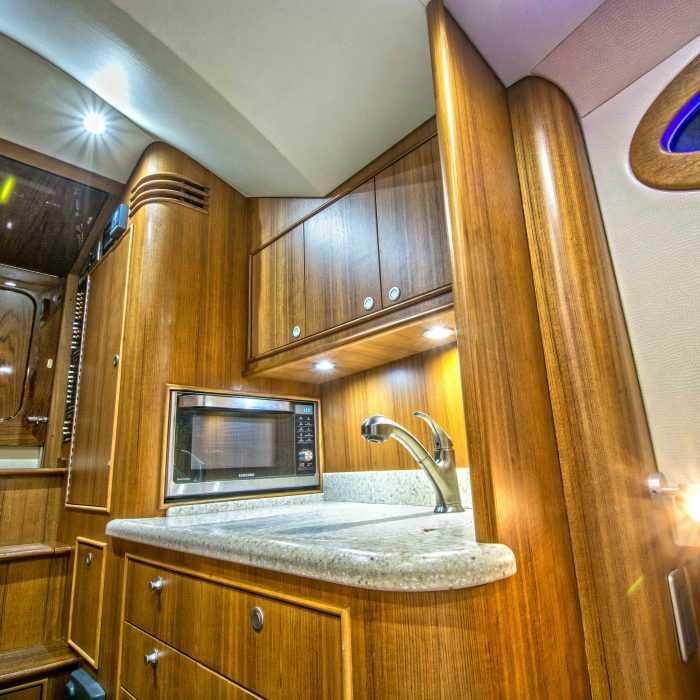 The galley includes a refrigerator with microwave and food storage. 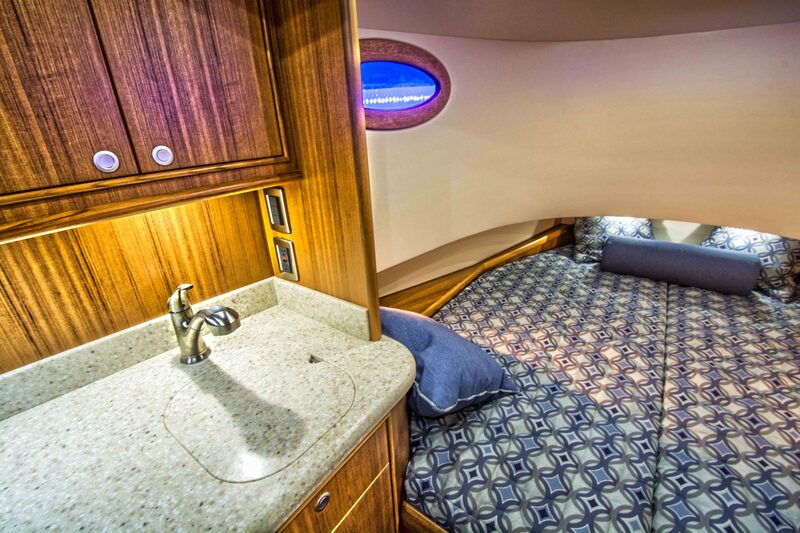 A forward bunk generously sleeps two when traveling and provides storage within for all rods and additional equipment. 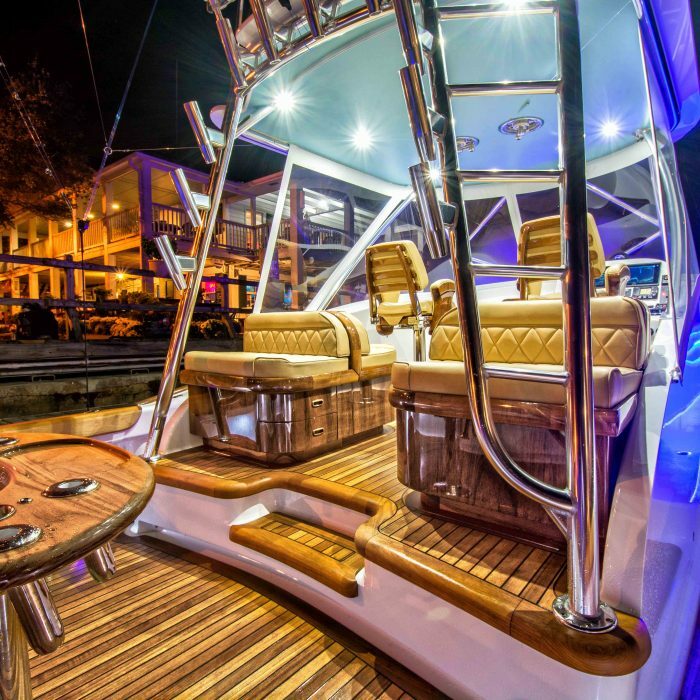 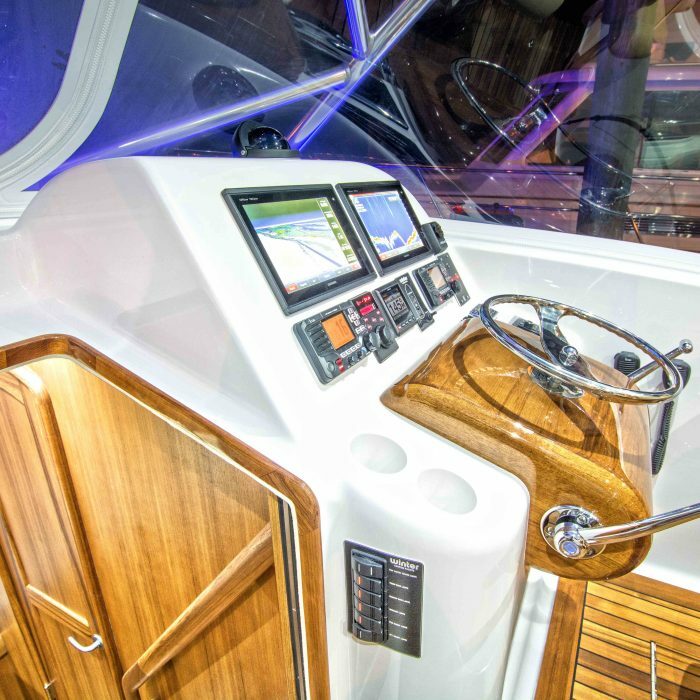 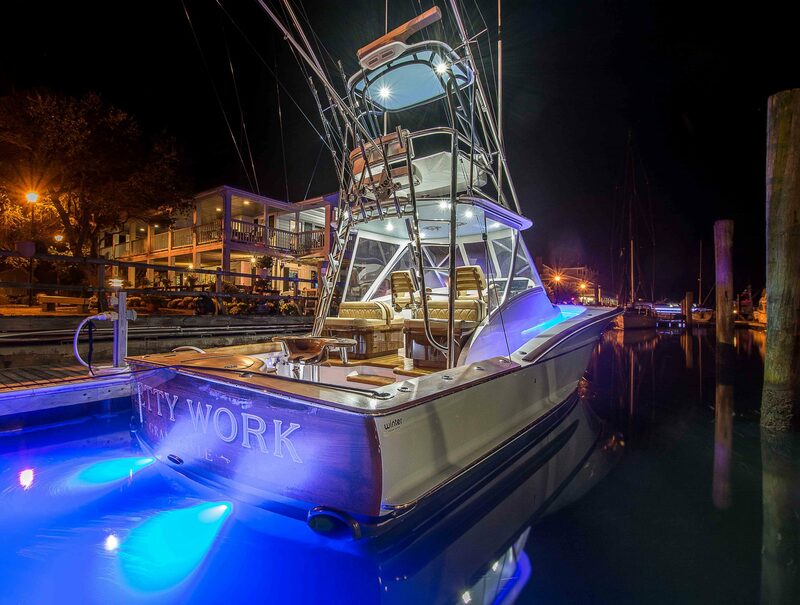 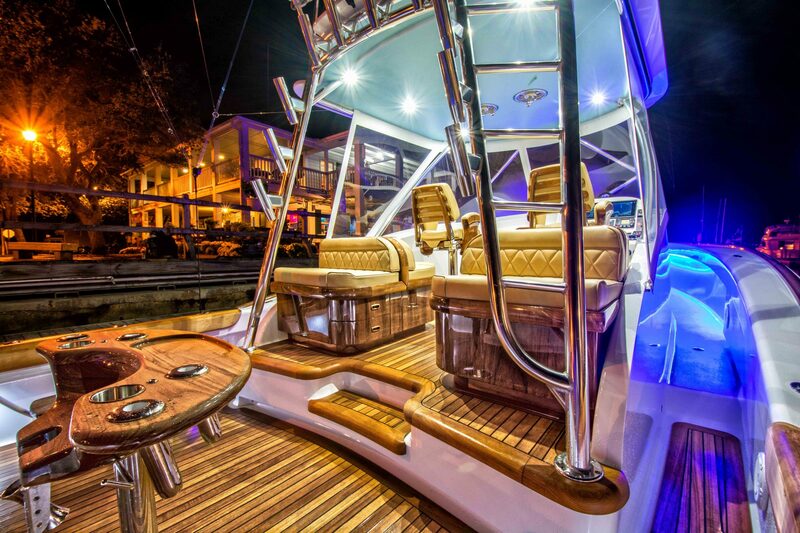 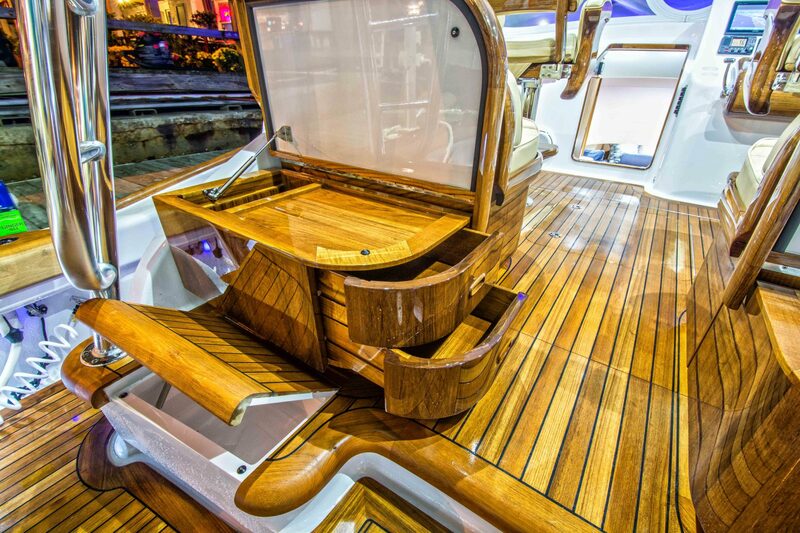 Her sleek lines and attractive teak package make her stand out in any environment and body of water. 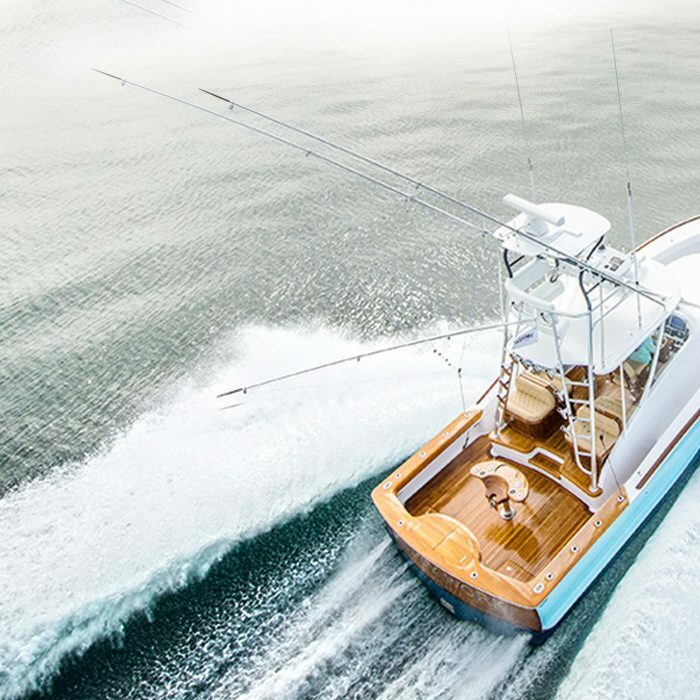 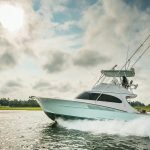 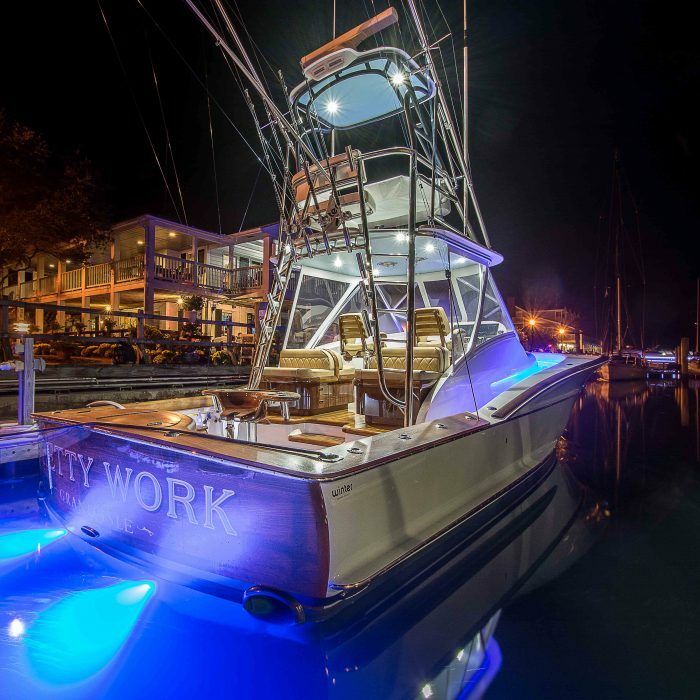 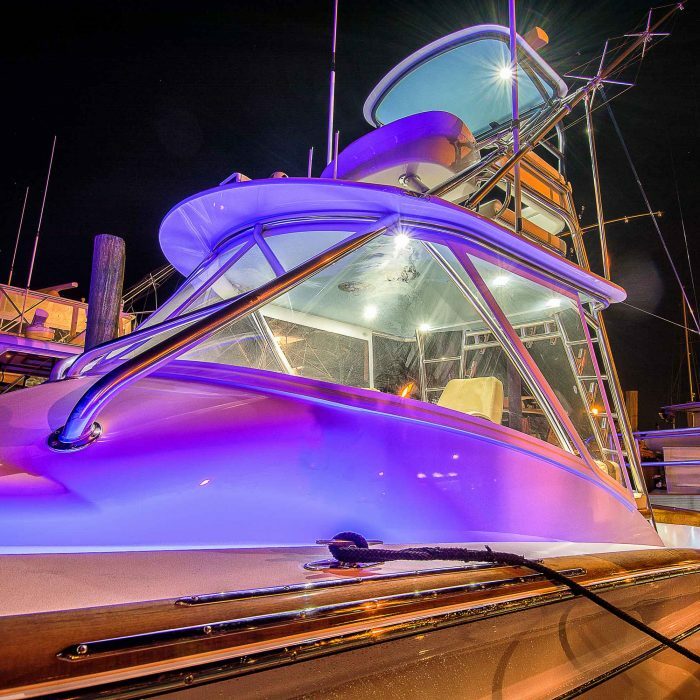 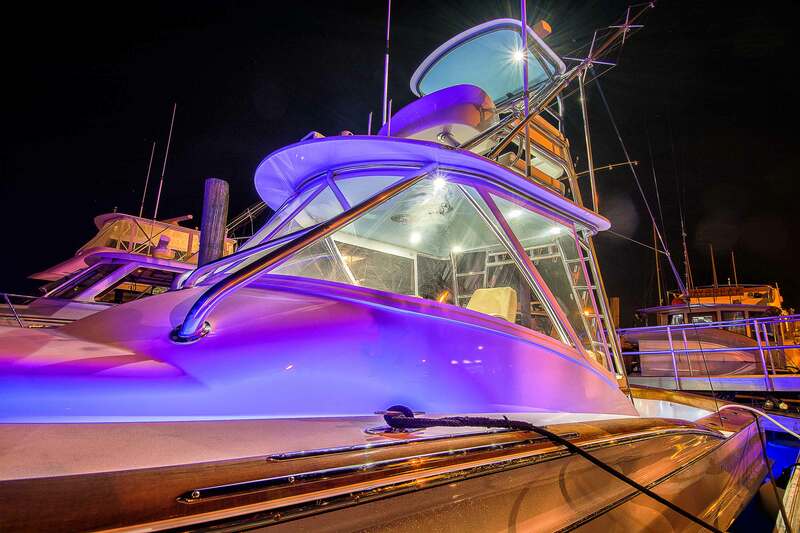 At 38′, Winter’s Hull W-18 is the ultimate sport fishing boat.